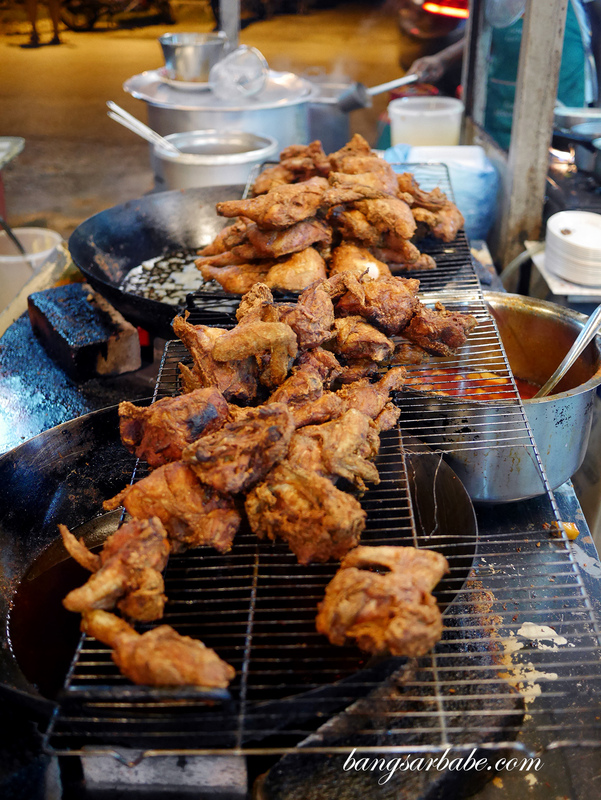 If there’s one type of food I can’t ever say no to, it’s fried, freaking chicken. My friends know this so well that they’d often have a fried chicken recommendation for me to try. 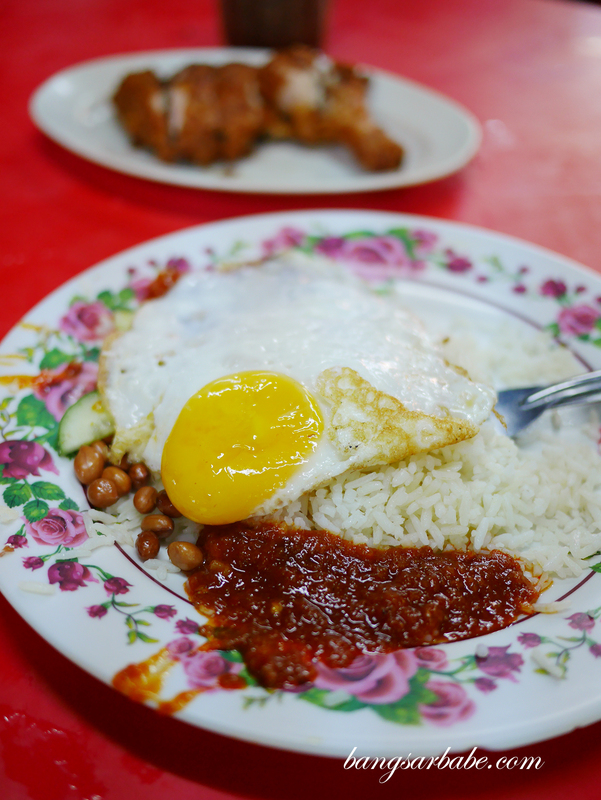 One of them suggested that I try the fried chicken from this mamak called Nasi Lemak Pokok Besar in Kepong. It’s located near where he lives and according to him, the fried chicken is worth checking out if I’m in the area. 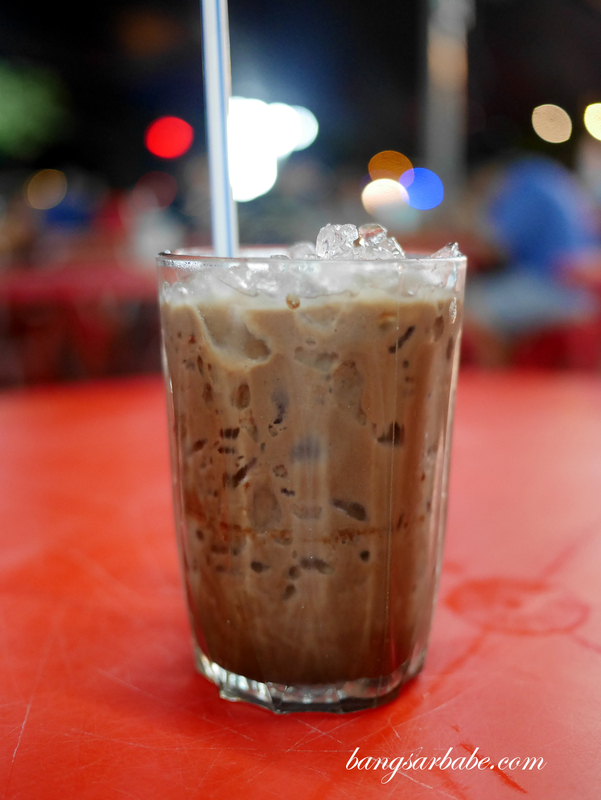 Known as 大树头 嘛嘛档 by many, Nasi Lemak Pokok Besar is a popular hangout joint among the folks in Kepong. 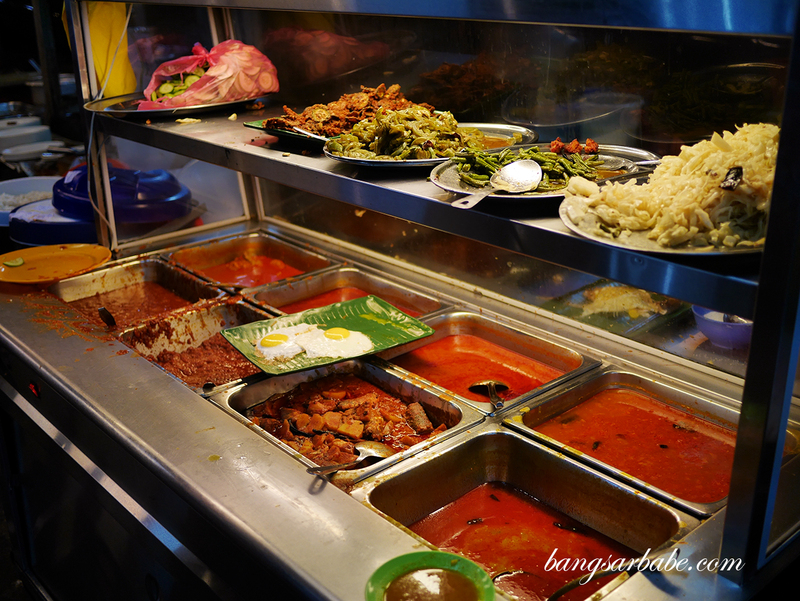 What I find odd about this place is the fact that people eat their fried chicken, nasi lemak, maggi goreng and rojak with a pair of chopsticks. I found it strange as I was expecting fork and spoon when my food arrived but the chap who served me passed me a pair of chopsticks instead. I told him I needed fork and spoon, to his surprise but he obliged. 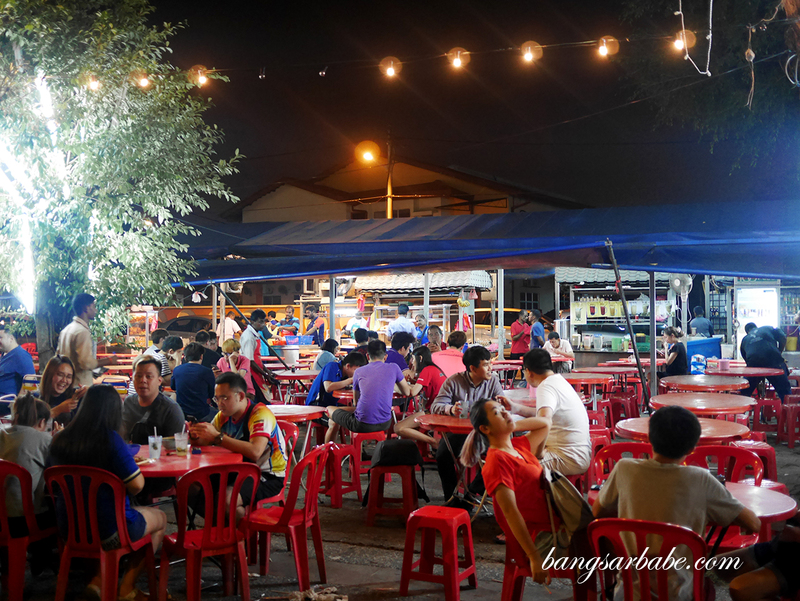 It was then that I realised eating with chopsticks is a norm at this mamak – people used chopsticks to pick up the cucur udang in their rojak, dig into fried chicken and even to scoop rice into their mouth. 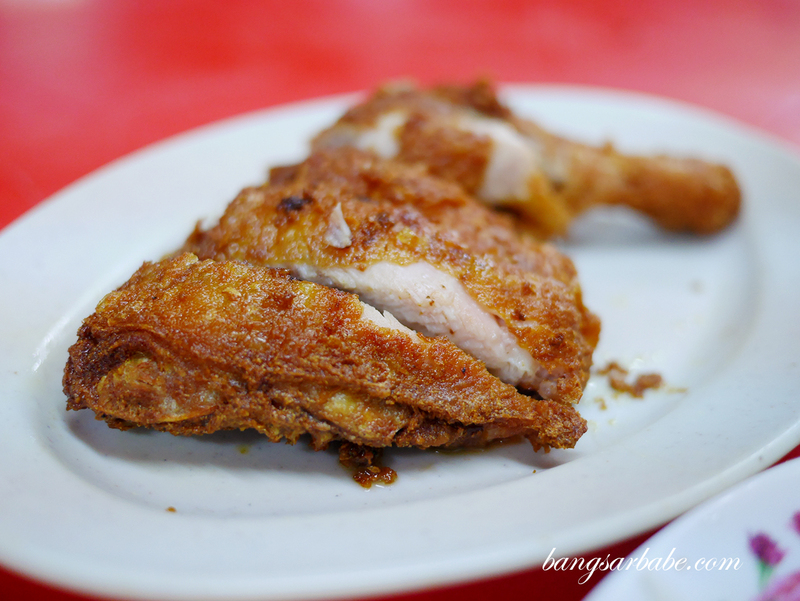 The fried chicken (RM6.50 – whole leg) was pretty tasty; you get a thin layer of crispy skin that is well-seasoned and meat that is juicy and tender. There’s plenty of flavour and aroma from the seasoning so the skin is especially delicious. 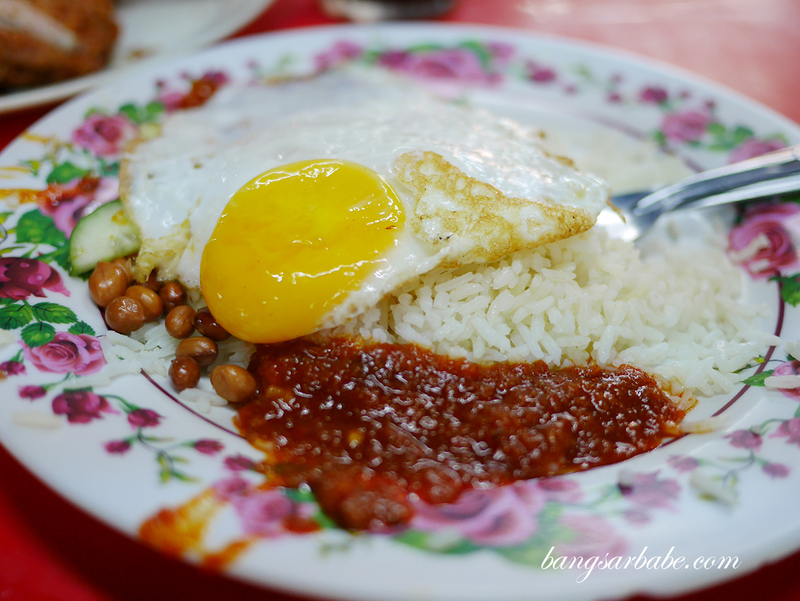 I wasn’t impressed with the nasi lemak (RM3) as the rice wasn’t fluffy or creamy enough – it was hard, and the sambal was sweet rather than spicy and savoury. 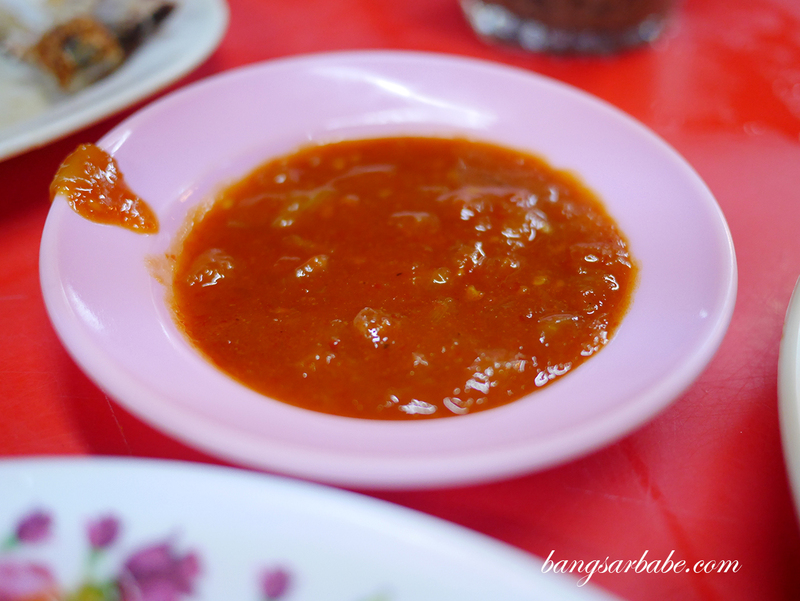 It’s the kind of sambal you’d expect from Chinese nasi lemak sellers where chilli is toned down and onions take centrestage. 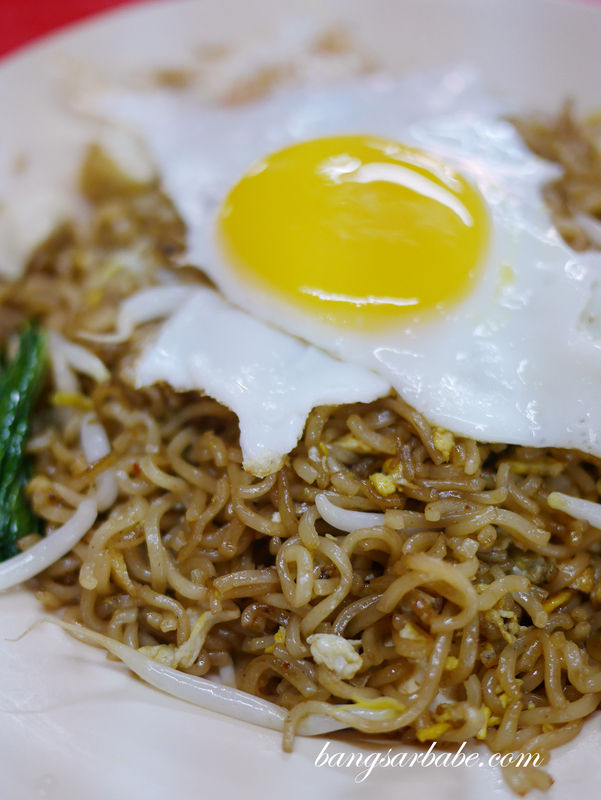 The maggi goreng telur (RM5) comes with beansprouts and tofu bits, which did little to the flavour of the noodles. I thought this combo tasted weird because I like my maggi goreng stronger in flavour but the beansprouts muted it significantly. There wasn’t any oomph, sad to say. 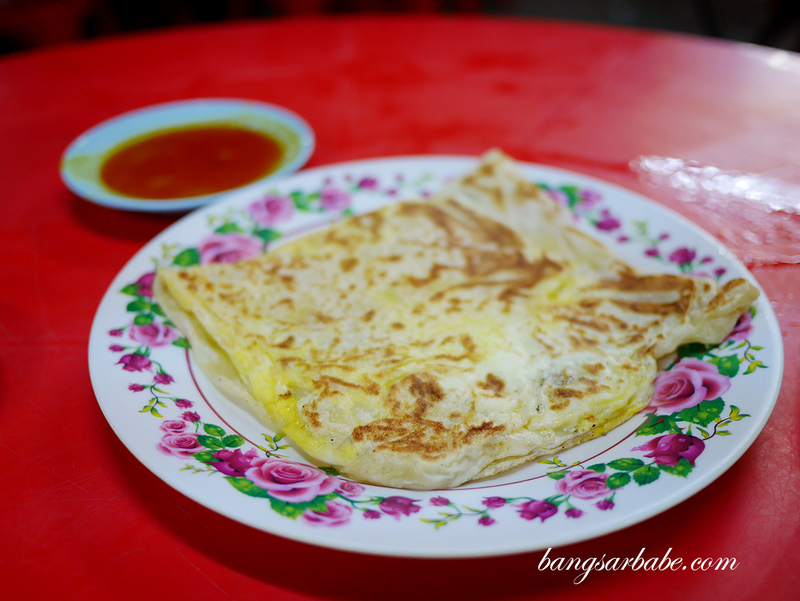 We also had the roti telur bawang (RM3) because that’s my favourite thing to eat at a mamak. Decent, but then again, it’s hard to go wrong with roti cooked with egg and onions. The accompanying dhal with fish curry was watery so I suggest you opt for just the fish curry if you want your flavours more robust. All in, I feel the fried chicken is pretty decent but the rest of the items, not so much. 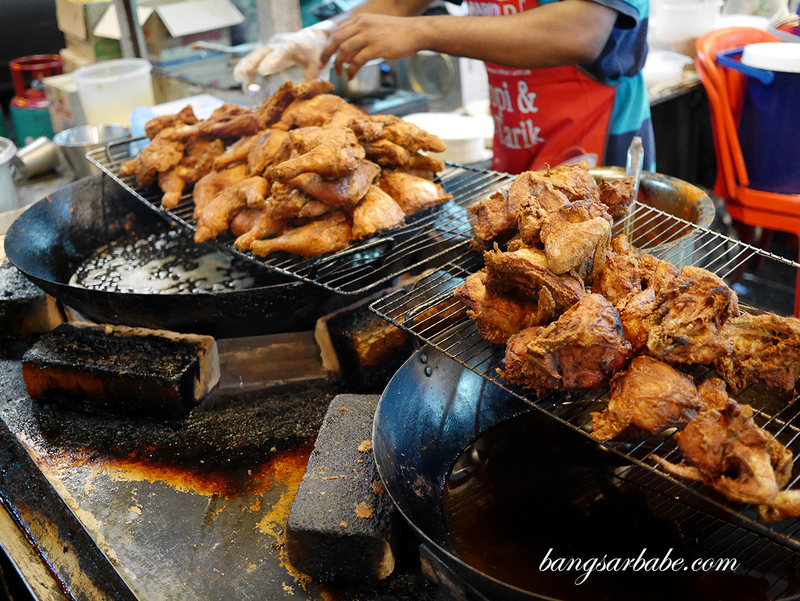 If you happen to be in the area and craving fried chicken, give this mamak a try. I’d only come back for the fried chicken and nothing else. Verdict: Go for the fried chicken. The rest were mediocre.